Mice are called commensal rodents meaning they live and eat together. So, you may think you have just "one" mouse but that's very unlikely. A single female needs only 21 days to produce a litter of 5 to 6 mice and is capable of having 6 to 10 litters in her lifetime. In only six weeks these adult offspring are ready to mate and start the cycle all over again. Mice are expert break-in artists too! They can squeeze their furry little bodies into holes just 1/4 inch wide and are great climbers. Once they enter, mice can establish themselves in the walls, attics, ceiling voids, or any relatively undisturbed area. 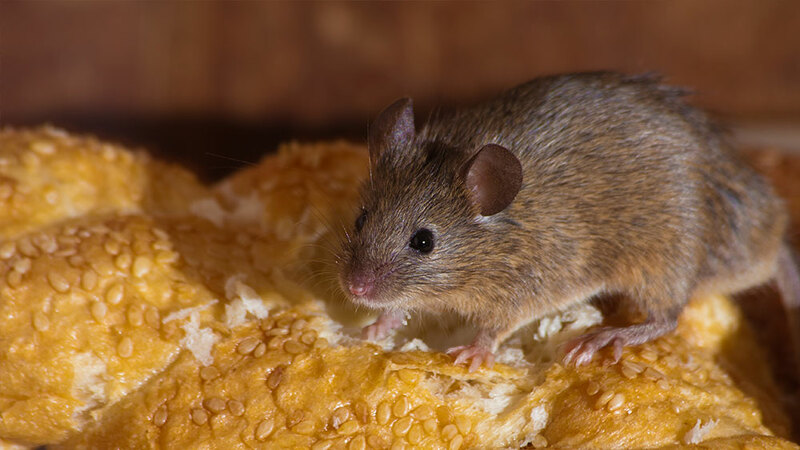 Mice have been known to carry disease and can be quite unsanitary in food preparation areas. Our experts have formulated a seamless treatment protocol that utilizes multiple treatment methods to eliminate the problem in no time! We also include a free property analysis where we would inspect and identify potential rodent entry points in the building, so you can avoid a problem in the future.